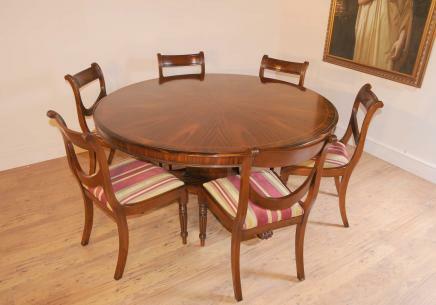 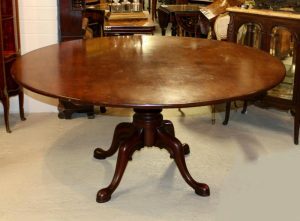 A Regency style dining set having a round table with six swag chairs. 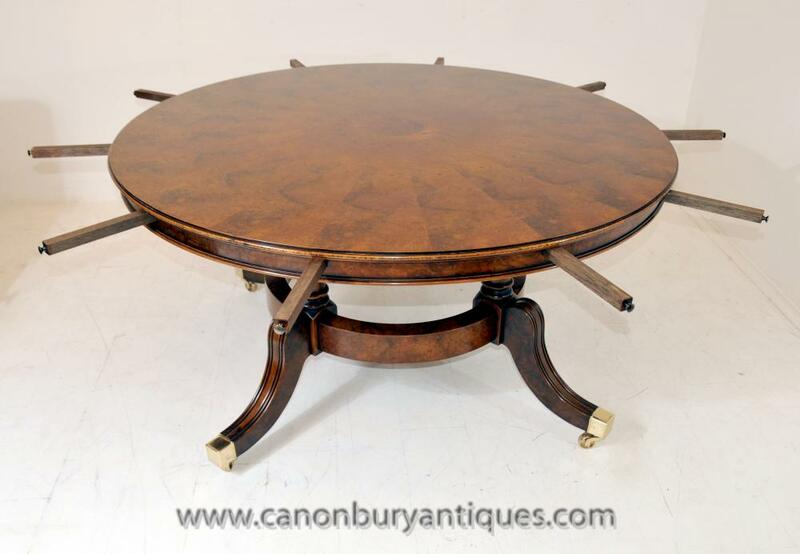 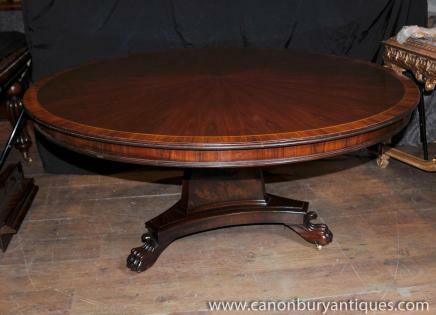 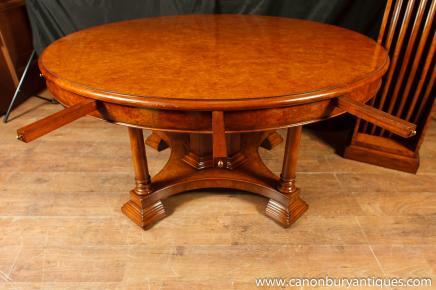 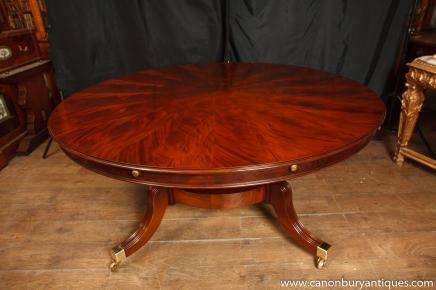 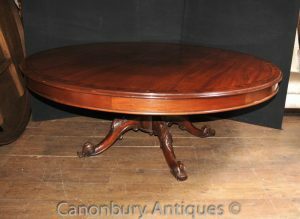 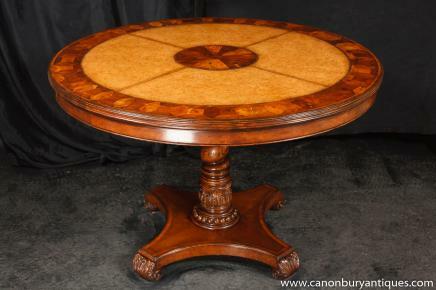 This luxurious table has beautiful finish and patina to the rosewood. 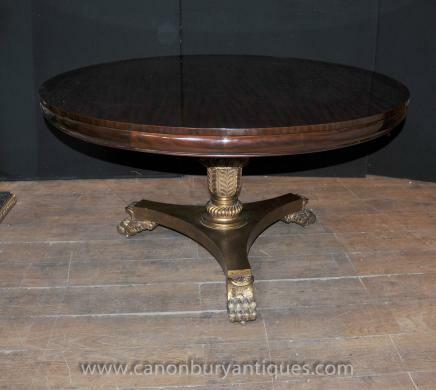 Tripartite curved pedestal base features hand-carved lions paw feet.